What this article didn’t care to mention was the significance of the term “cross-sectional study.” Most readers would probably pass over the technical sounding term, assuming it to be something that indicates credibility and reliability. Their assumption couldn’t be further from the truth. Researchers, especially in the medical and health fields, have a variety of studies of different levels of reliability; and in that hierarchy, cross-sectional studies fall somewhere near the bottom. Cross-sectional studies are weak because they provide no direct evidence of the sequence of events. True prevalence surveys—cross-sectional studies of a defined population—guard against selection bias but are subject to measurement and confounding biases. Case-control studies are vulnerable to selection bias and can be susceptible to confounding and measurement bias. Well-conducted cohort studies are better because they can be performed in a way that minimizes known confounding, selection, and measurement biases. Randomized trials are better still because the research design protects against possible biases and provides stronger evidence for a cause-and-effect relationship. 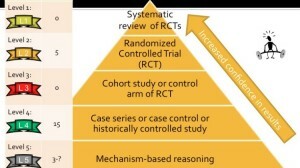 Systematic reviews are the highest level of evidence. For those who are not into the technical stuff, the simple point is that this study, being none-too-reliable, needs to be taken with due skepticism. A systematic review published in the Annals of Nutrition and Metabolism found that vegetarians have a significantly lower ischemic heart disease mortality (29%) and overall cancer incidence (18%) than nonvegetarians. A systematic review published in the Journal of the American Dietetic Association reported that vegetarians have lower risk of death from ischemic heart disease, lower low-density lipoprotein cholesterol levels, lower blood pressure, and lower rates of hypertension and type 2 diabetes, lower body mass index and lower overall cancer rates than nonvegetarians. Additionally, contradicting the popular myth that vegetarian diets are nutritionally inadequate, the study reported that appropriately planned vegetarian diets are healthful and nutritionally adequate for individuals during all stages of the life cycle, including pregnancy, lactation, infancy, childhood, and adolescence, and for athletes. A randomized control trial published in the Journal of the American Dietic Association found that a very-low-fat vegan diet increases intake of protective nutrients that combat several chronic diseases and minimizes intake of dietary factors implicated in several chronic diseases. A randomized control trial published by Cancer Research confirmed that red meat enhances the colonic formation of the DNA adduct O6-carboxymethyl guanine, thereby reiterating the well-known association of red meat with colorectal cancer. Readers who prefer a non-technical analysis can the various benefits of vegetarianism – health being just one of them – summarized in an acronym: HELP: Health, Environment, Livestock, Poor. The overall verdict of scientific research confirms the time-tested wisdom of the Vedic spiritual tradition: we are meant primarily to be vegetarians.